Megan, in the first version looks like most women; with no makeup, tired but a loving mother. Another Megan is a bar owner who dates a man, who gladly exchanges her for more exciting weekend when she was simply unable to spend more in the morning. The third Megan dreams of becoming a mother, but in the meantime, wishes to become a district attorney any time soon. Her willingness to fight for her case is truly admirable, but is a career all that she needs to fulfill her life? Despite “Me3” being a short film, Jason Baumgardner manages to fully unfold the plot leaving a solid amount of food for thought. 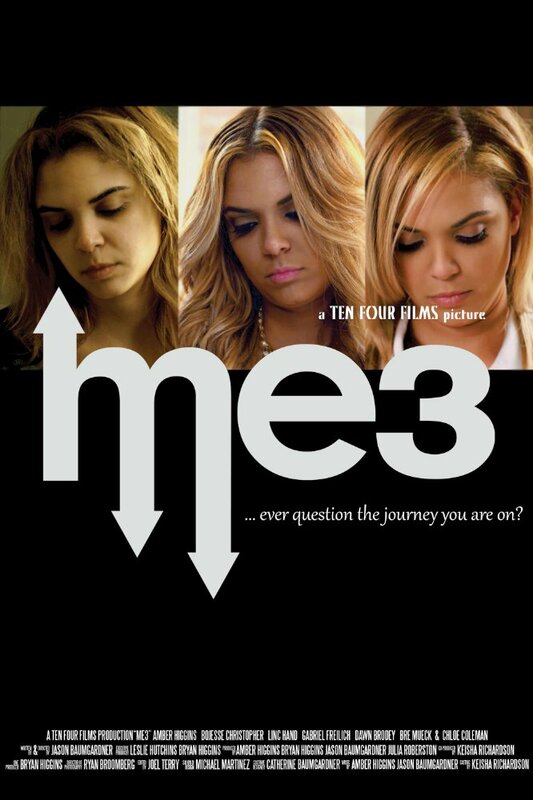 “Me3” is intelligent, straightforward and an easy film to follow. Amber Higgins who portrays Megan in all versions, with the help of makeup, transforms into different skins, experiencing as an actress something all her colleagues would love to do: playing three different characters in one film. I would not, of course, consider “Me3” as an emotionally charged or a manipulative film, which I should say, was never the intention. All what “Me3” wants from its audience is to picture, perhaps, themselves as a person who has a chance to see himself living different lives, where some may choose a happy one, some, a bit disappointing. But at the end of the day, it’s a unique experience which counts and with that mission, “Me3” can consider itself as an accomplished one.